End of tenancy cleaning is intended for people who are moving in or out of a rented home, or for landlords who want to make their accommodation look presentable for the new tenants. It can also be used if you’re selling your home. It’s a deep cleaning, which means no overlooking of anything, whether of major or minor importance. Having in mind that the potential tenants, or buyers, expect a well maintained home that not only looks good but will also serve them without troubles for the term they need it. And here intervenes our company, but in a good way. We are experienced in this type of cleaning, which means that we are inevitably the right choice. You can find us on this number 020 3397 3245. As letting agents always have some special requirements about the condition which the accommodation should be in, we are ready to strictly fulfill them all. In fact, we are aware of most of them, but if you have some additional ones, we’ll be glad to take them into consideration as well. We work in teams, and we dare say we do everything fast and efficiently. But the most important thing is that we know how to do cleaning properly. Our cleaning experts are familiar with all kinds of techniques and methods, and they handle cleaning as professionals. They will take care of every corner of your property like true cleaning bees. You can be sure that their approach towards the cleaning process is serious and proper. When we are dealing with cleaning, we always put customers’ need first. That’s how it should be because we are doing all this for your good, and we know that well. We at London Cleaners don’t tolerate a halfway-implemented job. Exactitude as well as contented customers is what we’re aiming for. Since you let strangers into your property for some time, we realize that you may have concerns about the team of specialists we’re sending. You can rest assured that they are all trustworthy people as we would never threaten the safety of your accommodation. Some information of what exactly we offer as end of tenancy cleaning of your accommodation will follow. These will just be some brief examples of what is done most often. It’s not a secret that we’re going through every single room of your property. The kitchen will be cleaned thoroughly, including cleaning of all cupboards inside and out and domestic appliances as well. The sink and the fixtures will be deeply washed as well. Then in the bathroom the floor will be washed, the toilet will be disinfected; the bath, the shower and the sink are also going to be sanitized. In the bedroom – vacuuming or mopping, depending on the flooring, cleaning of wardrobes and dressers. Washing windows and dusting furniture will be done in the entire accommodation. Have in mind that these are not all the services that we offer for this type of cleaning. We can’t possibly enumerate all of them in detail, since every property has different kinds of surfaces, flooring and furniture. Your new tenants, as well as you, will be pleasantly surprised by the results after the cleaning. Our company can give you a little hint in advance – fresh atmosphere, neatness and a feeling of something brand new. Isn’t that the dream home for every tenant! 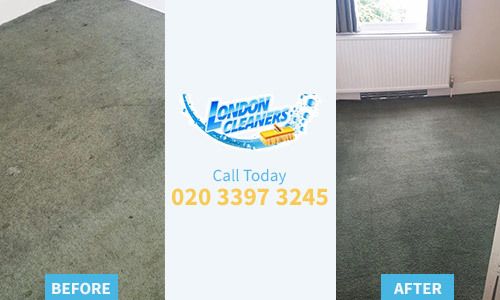 If we were able to convince you already, call on 020 3397 3245.